Mastiff-type means a large molosser dog. 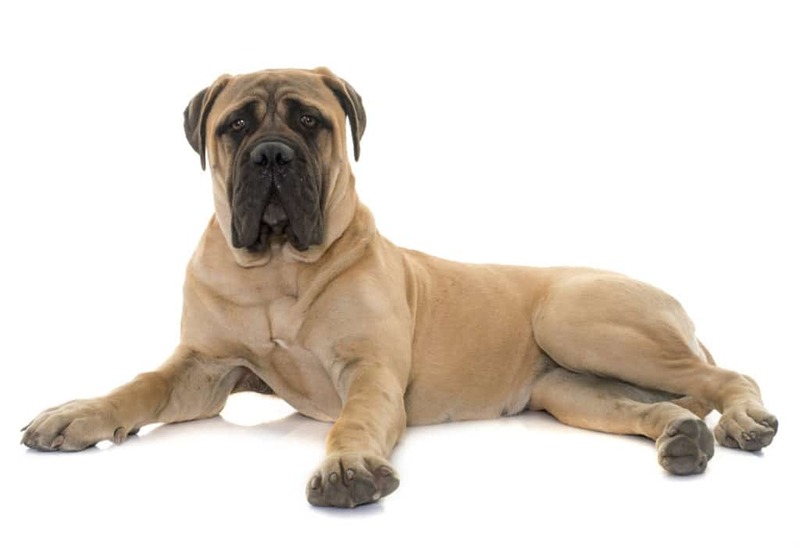 The term “mastiff-type” has been used synonymously with the term “molosser”. 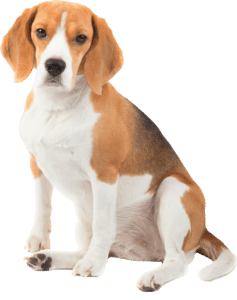 For example, the bulldog breeds, the Great Dane, mountain dogs, pit bulls and even smaller dogs, such as the Boston Terrier, may be considered “mastiff-types” in this broad sense. 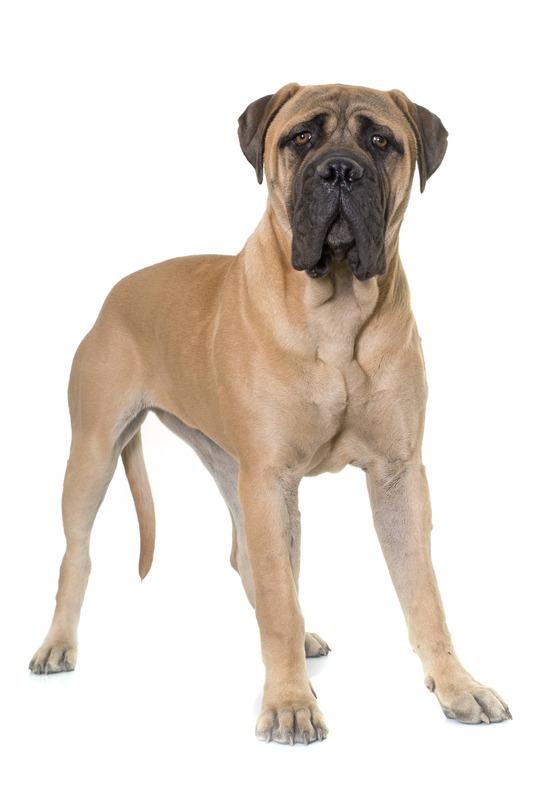 The descriptive term, mastiff-type, should not be confused with the breed, the English Mastiff, that is commonly referred to as the Mastiff. 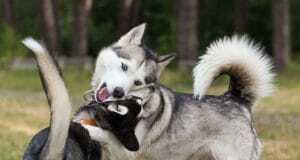 With a massive body, broad skull and head of generally square appearance, it is the largest dog breed in terms of mass. 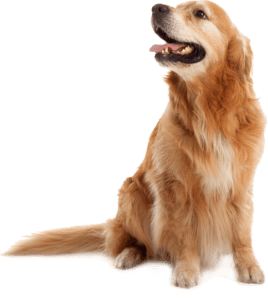 It is on average slightly heavier than the Saint Bernard, although there is a considerable mass overlap between these two breeds. The former standard specified the coat should be short and close-lying. Long haired Mastiffs, known as “Fluffies”, are caused by a recessive gene—they are occasionally seen, but this trait is not accepted by any kennel club. English Mastiff colors are apricot-fawn, silver-fawn, fawn, or dark fawn-brindle, always with black on the muzzle, ears, and nose and around the eyes. The Mastiff should at all stages of development show the breed characteristics of massiveness and sound, if cumbersome, movement. The Mastiff is a particularly large dog demanding correct diet and exercise. The large dogs depicted in figurines and in bas-reliefs from the sixth century BC in Assyria during the reign of King Ashurbanipal may have some part in the ancestry of modern Mastiffs, but without genetic evidence or a clear historical link, this is speculative. There is a similar figurine from the same region during the Kassite period almost a thousand years earlier.